How To Get Lower Credit Card Fees for Your Business. One of the most complex and expensive operational costs businesses deal with is the merchant processing fee, yet you cannot do away with a merchant account. Having a merchant account contract is what stands between you and a cliff. So how can you get lower credit card fees for your business? Many business owners will tell you that gross over-payments in credit card processing fees are part and parcel of their lives. They lose thousands of pounds in excessive fees and when they try to switch providers and reduce costs before the expiry of their contracts they get buried under outrageous early termination fees. They are trapped in this vicious cycle because they do not know how merchant credit card processing fees and rates are assessed and calculated. The merchant credit card processing industry is a minefield and only those merchants who are able to navigate it live to enjoy saving money. The services that most merchant account processors sell are basically the same. This means you could be paying premium price for the same services other providers are selling much cheaply. The quotes are usually deceptive because they omit hidden fees, so you never have a clear picture of the rates and fees you will actually be subjected to. These fees are often buried in incomprehensible contracts and when you sign you get burned. The “reserved” low rates that you see offered to the movers and shakers of the industry are also accessible to your small business but you have to know how to get them in order to save thousands in fees. The more the turnover, the lower the fees. Government agencies, businesses, and consumers all use credit cards to make payments. For many businesses, the transaction fees are so high they rival real estate and rental expenses. This is why it’s important to invest time in understanding how credit card processing fees work. Merchant credit card processing services are characterised by start-up and transaction costs. Each credit card sale is subjected to a processing fee that factors in the number of parties that are involved in each transaction and the sales volume of the business. There are fees for using an online payment gateway (gateway fees), for delivering the monthly statement (statement fees), and for returning funds to customers (charge-back fees). 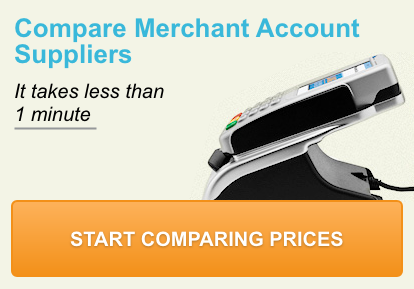 Normally, a merchant account has separate costs for assessments, interchange, and mark-ups. The assessments and interchange costs constitute the greatest processing expense because they are a percentage of the transaction and sometimes include a pre-transaction amount charged by the credit card companies and merchant service providers. They are also non-negotiable. Therefore, you get the lowest rates not by finding the credit card processor with the best rates or single fee, such as the interchange mark-up, but the one offering the lowest overall mark-up over assessments and interchange.